Reverend Jacob Asani, the chairman of Strategic Committee of Osun State chapter of the Christian Association of Nigeria, CAN has revealed that the association would not relent in supporting Dr Akin Ogunbiyi sponsored Osun Praise Celebration. Rev. Asani made this known during the maiden edition of the soul-lifting programme held at Atlantis Civic Centre in Osogbo, the state capital, on Sunday. 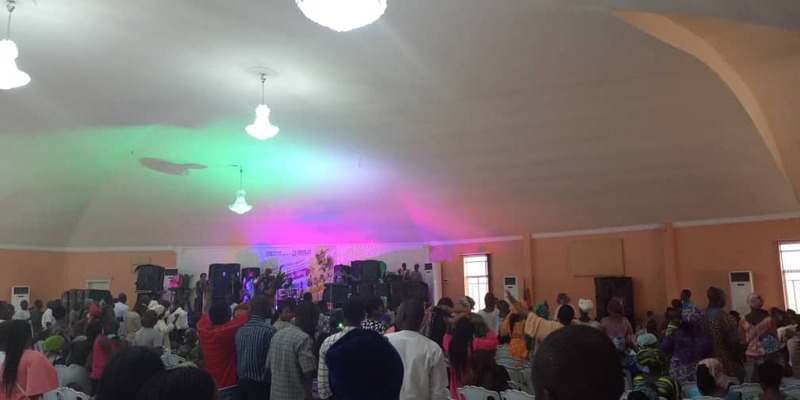 Themed "Praising into Glory", the music concert was organised by Ogunbiyi's Idera de Movement, IDM in conjunction with churches in the state. Speaking further, Rev Abani noted, “when we heard about this programme, we immediately keyed into it. Because it is good to praise the Lord and put Him first. There is no time that God is defeated. Therefore, we as the church of God will not look back. We will continue to support this programme." Bishop Seun Adeoye, Pastor Kunle Adewole, Reverend Adesola Olubadejo, Reverend Adebomi Micheal and other spiritual leaders prayed to Almighty God to lift Osun and its people into glory and abundance. The unforgettable five hours of enthralling musical voyage spurred the audience to the mood of praise with short messages and comical intervals. It assembled massive voices and talents who thrilled members of the audience regardless of church denomination. Adegbodun Twins, Femo Lancaster, Seun Sax, Evangelist Temitope Fatusin Leonard, Seun Israel, Abraham Cornerstone, frontier comedian, Baba Alariya and other talented youths inspired the congregation to bow in worship and dance in gratitude. In the spirit of worship, Dr Akin Ogunbiyi disclosed that the Praise Celebration would henceforth be held annually. He appreciated the spiritual leaders, Osun PDP chieftains, guest artists and the good people of Osun for identifying with the event. He said that Mr Babajide Bewaji facilitated the programme. "Today is glorious, but next year will be more glorious by the grace of God. Let us keep hope alive. The God that we serve is a living God, " he added. Olamilekan Kingsley Awosiyan, Apesin-Abiodun Adegoke, Mr Eddy Olowookere and others. The audience was treated to the best of musical renditions that cut across genres such as classical, contemporary, spirituals, and solo music. The programme is now an annual feast that the congregation and even those who missed the maiden edition look forward to with feverish interest.